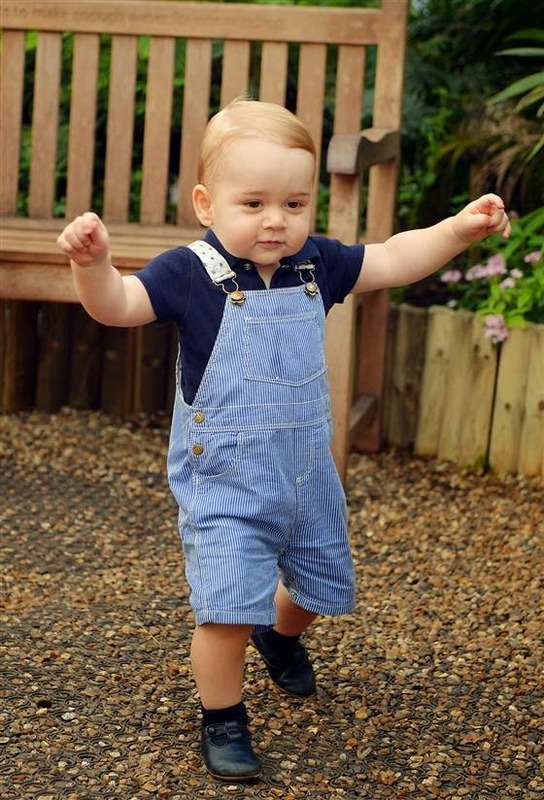 Good Girl Style: Happy Birthday, Prince George! 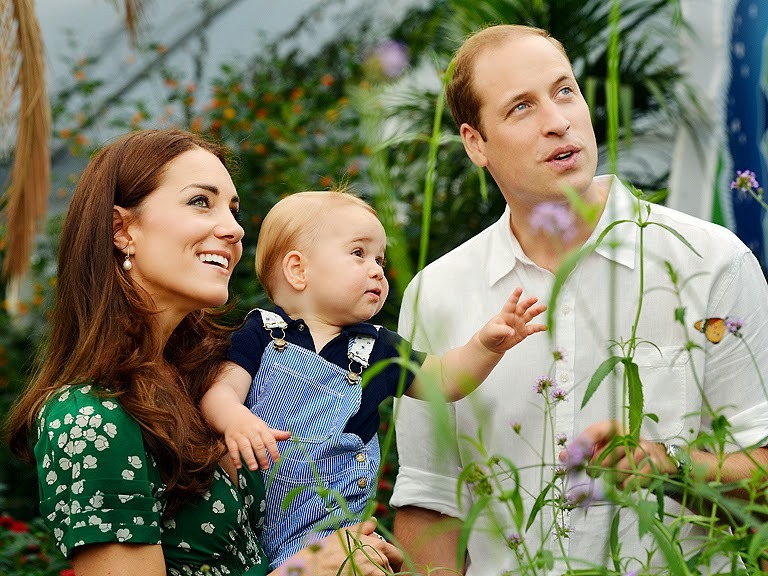 It is Prince George's first birthday today!! I love the hint of red in his hair, his chubby cheeks and wide eyes. What a little charmer! Such a great family photo! 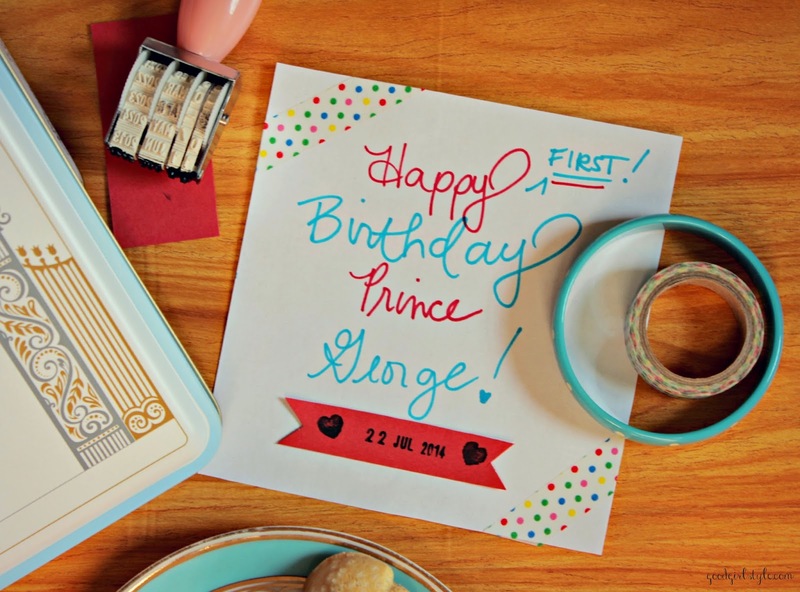 It is Prince George's First Birthday! 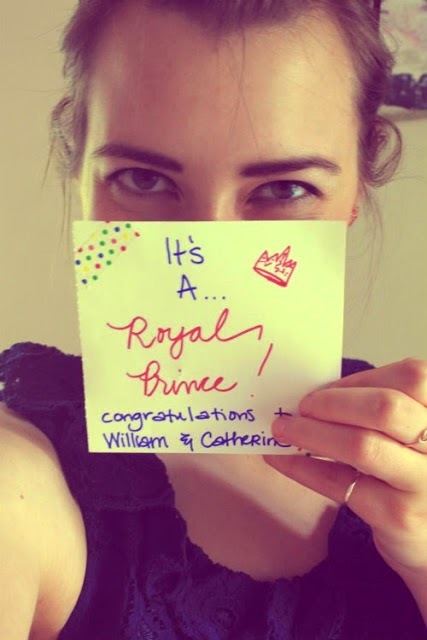 Oh it's so very exciting because he's just the most darling little thing ever and Kate with him...I swoon. Couldn't be any cuter. Remember last year when we were all still anxiously waiting and I dressed like "off-duty Kate" in honor of the occasion? Here's my outfit. I still love Kate's off-duty/mama duty outfits (and secret footage of her being adorable with George!). I've loved following along with the adorable family their first year. 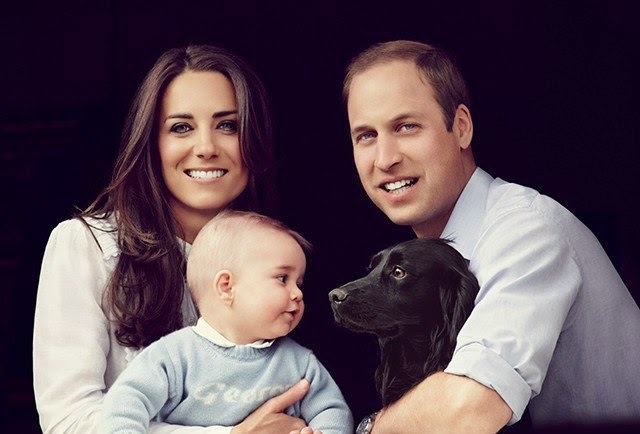 Here he is at 8 months, our first official look at him, stunning in a little monogrammed sweater with his family and Lupo, in a photo taken by Kate's dad that just doesn't even look real. 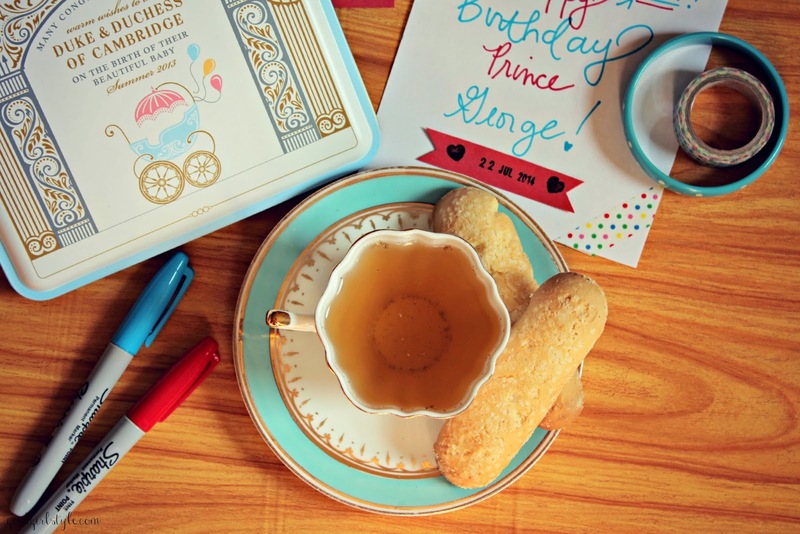 So today I will have a special tea in honor of Prince George and, of course, dress in honor of Duchess Kate again (though I really prefer to call her Princess Kate, I know, I know!) and wear my polka-dot Cath Kidston bracelet that my friend got me while she was in England when Prince George was born! And of course my other friend who was also in England at the time brought me that beautiful Welcome Baby tin! So pretty. While you enjoy your tea in honor of Prince George today, enjoy reading this fantastic Vanity Fair recap of his first year. 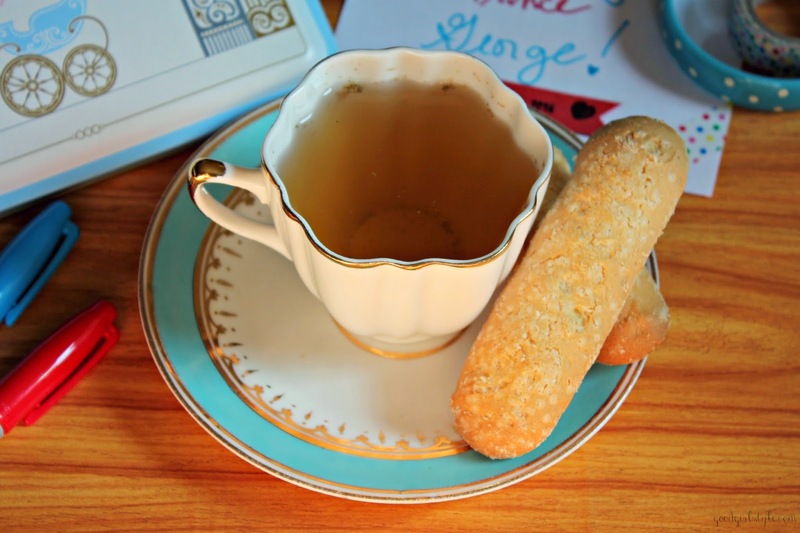 Rose Tulsi tea with local honey and gluten-free ladyfingers. Will you be doing anything fun to celebrate today?